It’s easy to use very basic verbs such as get, start, have or make, but a great way of improving your English is to learn more interesting verbs that go with particular nouns. For example, while it’s fine to say get attention or do research, your English will sound much better if you can say attract attention or carry out research. Sometimes it’s worth learning the verb and noun combination as a phrase because it is so common that it would sound strange to use a different verb. For instance, we commit a crime (never ‘do’), tell lies or jokes (never ‘say’), and pluck up courage (not ‘get’). 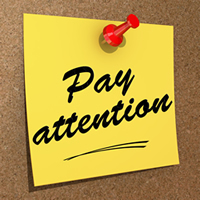 And while it’s possible to ‘give’ attention, details or compliments, it’s much more common and natural to pay attention, go into details and pay someone a compliment. Similarly, you can sustain injuries rather than ‘get’ them, hold down a job rather than ‘keep’ it, strike up a conversation rather than ‘start’ it, and expend energy rather than ‘use’ it. And don’t forget those combinations where the noun comes first. It’s fine to say that war ‘starts’, but so much better to say war breaks out. Similarly, a gamble can ‘succeed’, but your English will sound more natural if you say that a gamble pays off. It may seem like an enormous task to learn particular verbs to use with specific nouns, but a good learner’s dictionary can help you a lot. All the examples given in this blog are shown clearly in the Cambridge Advanced Learner’s Dictionary. So if you find yourself using a common verb, it’s worth looking up the noun you want to use it with to see if there’s a better alternative. If you adopt this approach, you will soon reap the rewards and win praise for your natural, fluent English. Hello. I am HA. I come from Vietnam. I’ve visited your this website many times. First of all, This is one of the most useful website to learn English that i have ever known. I feel happy about it. Beside, I also have some comments that i hope it will be useful to you. I think, you should create videos to present lessons that are uploaded on the website, it will be easier to learn as well as more attractive than to write on paper. Best regrads, HA. I’ve visited your this website first time. have ever known. I feel happy about it. I hope to have scholarship to study in English University. It is really a nice website. I often use it as a dictionary. I do believe that getting to know the English meaning of a most common word is the very important step for the beginers. hi , I am abid from Pakistan . I visite this nice web page first time and find useful tool to improve English language I hope during this compenianship I shall improve English. I really like this but couldn’t find the examples ! !